AS I lived with the Manchester Ship Canal at the bottom of my street for the first 21 years of my life, my grandfather worked on the building of it and I have years of family involvement in navigating this major waterway, I looked forward to this book with eager anticipation. I was not disappointed. 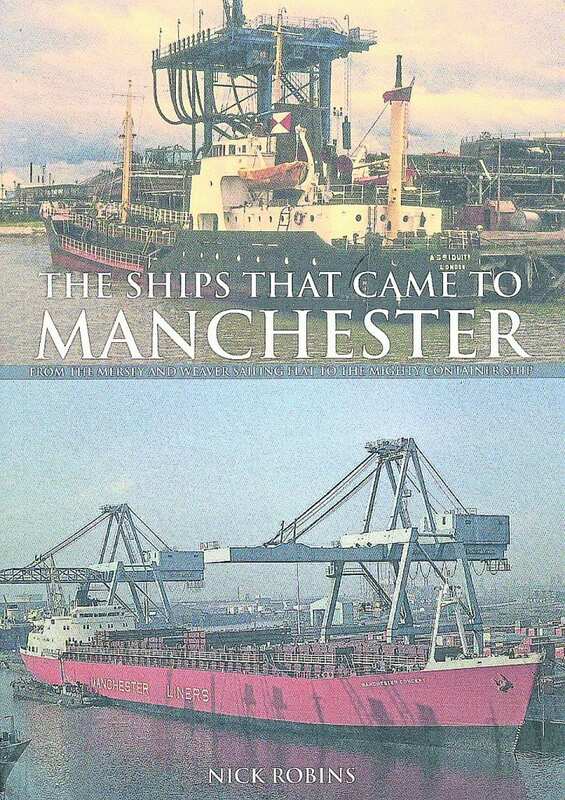 The author not only covers the history of the canal in very good detail but – as the title The Ships That Came To Manchester implies – the vessels that used it in very comprehensive recorded detail. The subtitle From the Mersey and Weaver Sailing Flat to the Mighty Container Ship sets the timeline, from January 1, 1894, when the first ships processed up to Manchester until the big ship traffic finally dwindled away in the early 1970s and they converted Manchester Docks into the residential Salford Quays. One might ask – what other European country would allow this? 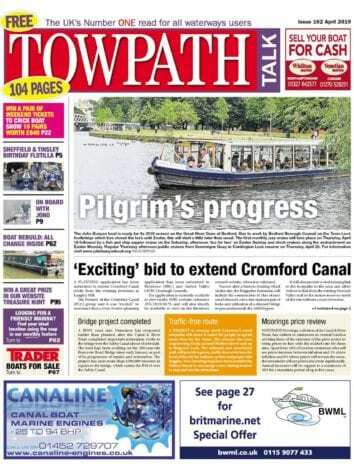 Fortunately, through the canal’s present owners Peel Holdings, traffic is on the up again and a new ‘Port Salford’ is being built. But before any ships – steam powered or towed, like the Mersey sailing flats my ancestors skippered – used the canal, the author devotes two chapters to history and vision behind the ship canal scheme and the engineering and problems of the construction. Following these, each chapter is devoted to a particular period in MSC history, such as both world wars, and the vessels and economic conditions of those times. There is also a chapter on accidents – the collision between the Mary P Cooper and the Foamville – which I happened to witness – tragedies and strikes. Author Dr Nick Robins is a shipping specialist rather than a canal man – one of his previous books being Manchester Liners – An Extraordinary Story. So, I found it a little frustrating to find the caption to a photograph of Manchester Docks, crammed with all sorts of vessels including narrowboats and flats, only refers to a couple of minor coasters on a wharf. But that’s a tiny niggle about one of a mass of fascinating historical illustrations that the book is literally crammed with. He also gives a date in brackets after a ship’s name which you have to get used to being the date of the vessel’s launch, rather than during the appropriate chapter. Among all the exotic cargoes that the canal carried he also deals with some very mundane ones, such as that carried by the ship we saw most regularly, the Salford City, one of two which carried Manchester and Salford’s sewage out to sea. 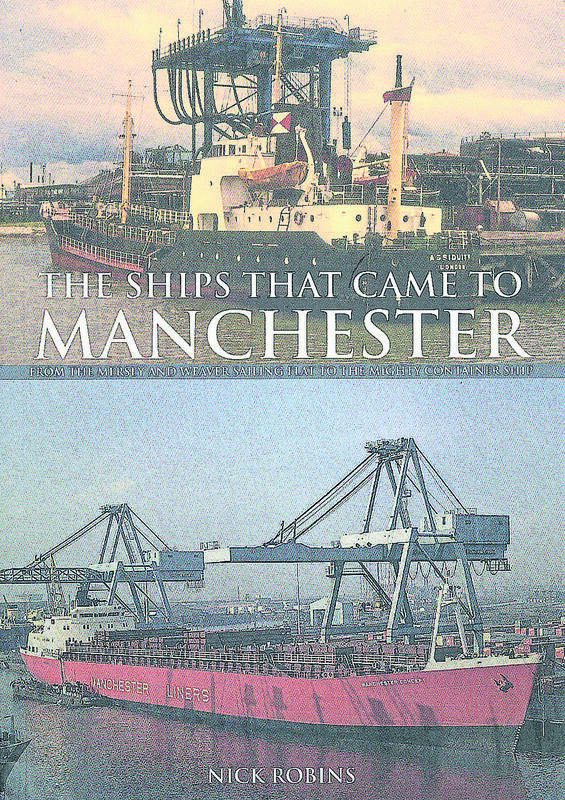 Altogether a great book, a good read that fills, within one general volume, a vacant slot in the story of the Manchester Ship Canal: not only for ex-locals and enthusiasts like myself but for anyone who is interested in this great waterway and the history of succeeding water routes between Liverpool and Manchester. 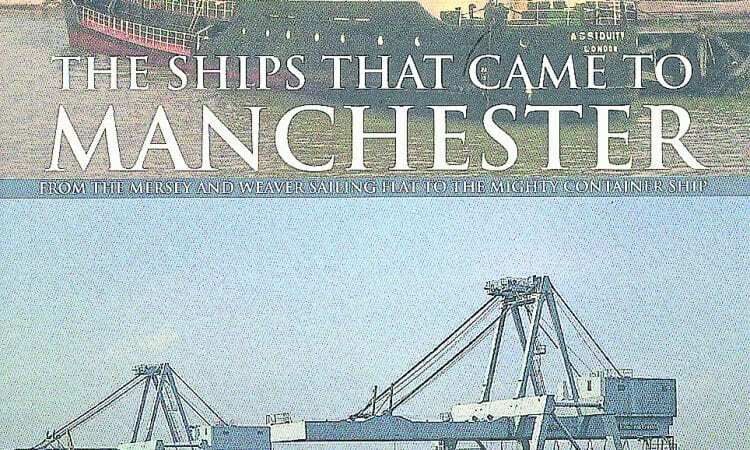 The Ships That Came to Manchester by Nick Robins is published by Amberley Publishing in softback, priced £15.99.